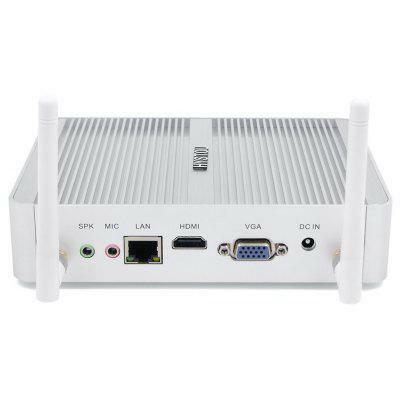 ThisHYSTOU FMP06 Fanless Mini PC is with Intel Core-i3-5005U CPUandIntel HM96 Express Chipset. Work as normal mini desktop computer, only need connecting to monitor, keyboard and mouse to make a full computing system. Office, Skype, Yahoo, Outlook and all other office requirement support and runs perfect. Want to be notified when the HYSTOU FMP06 Fanless Mini PC Core-i3-5005U gets even cheaper? Make sure you snag the best price by entering your email below. We'll email you when the price drops, free! We're tracking the price of the HYSTOU FMP06 Fanless Mini PC Core-i3-5005U every day so you know if that deal is really a steal! Check back for to check the best price for this product - and whether its current sale price is really the cheapest it's been! No HYSTOU FMP06 Fanless Mini PC Core-i3-5005U coupons found!